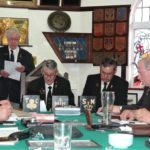 The Old Bill of the Order is appointed annually by the Full National Executive. The position is an honorary position, and the holder of this award, may be invited to take the chair at the Annual General Meeting of MOTH General Headquarters. On completion of his term of office as Old Bill of the Order , he may continue to wear the precious metal badge (Gold Tin Hat), for the rest of his life. 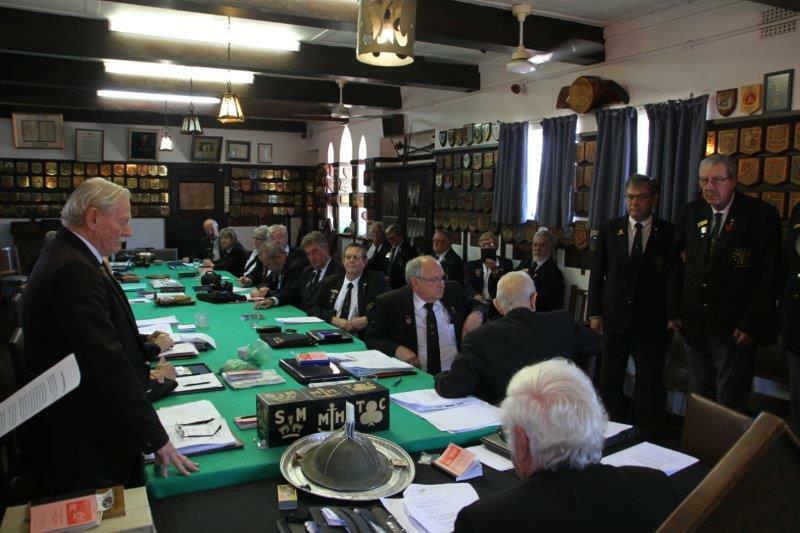 Moth General Head Quarters Congratulates Moth Eddie Penzhorn on his appointment as Old Bill of the Order for 2018- 2019. Moth Eduard Heinrich Penzhorn (Eddie) was born in Pretoria on 15 March 1947. He was educated at the German School, Pretoria Boys High School, after which he attended to his tertiary education at the University of Pretoria and the Normal College. 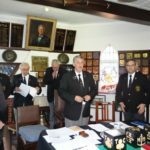 He then embarked on a career as an educator and taught at Pretoria Boys High School after which he was appointed the Deputy Head Master of The Glen High School. After his stint at the Glen, Eddie was appointed Headmaster of the newly established Willow Ridge High School where he was highly respected by fellow teachers, pupils and parents. Eddie later became a School Inspector and this was followed as the Head Communications / Personnel for the Department of Education. Thereafter, Eddie moved into the private sector and was the IT Group HR Manager for BCX before he retired in December 2010. Eddie Penzhorn joined the Memorable Order of Tin Hats on 1st September 1986 as a member of Gorgeous Wrecks Shellhole. He did not waste time in sitting in the back rows at Shellhole meetings and was appointed as Deputy Old Bill in 1987 in which post he served until 1988 when he was voted in as the Old Bill where he served until 1993. 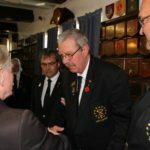 He was again voted in as the Shellhole Old Bill from 2011 and served as the Old Bill until August 2016. 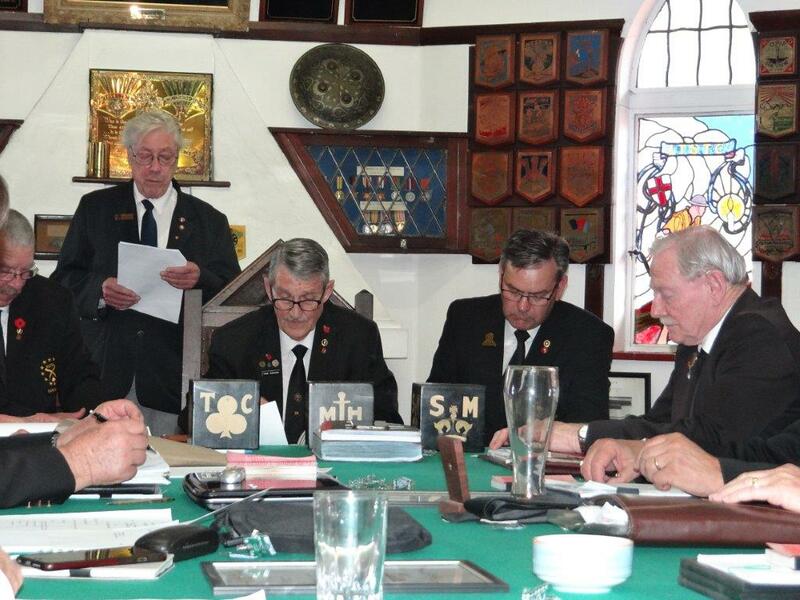 The Shellhole members enjoyed Eddie’s usual well organised leadership. 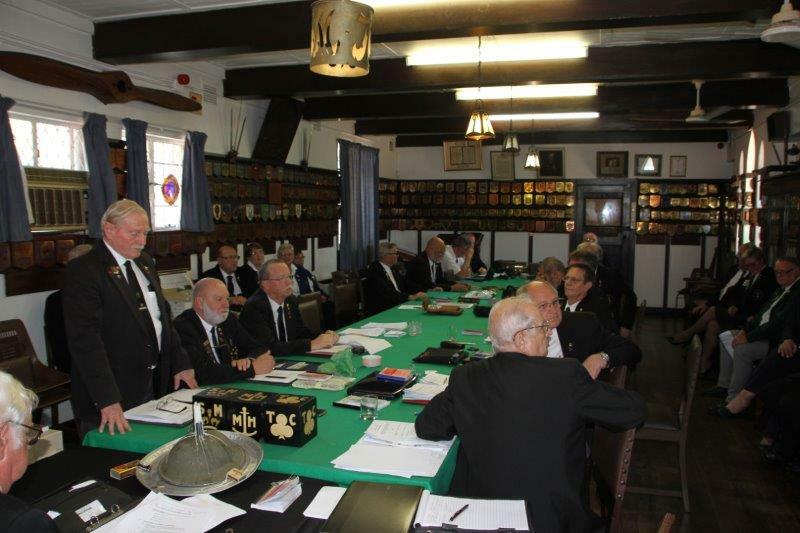 Moth Penzhorn has over the years, (since 1992) conducted a number of workshops in an effort to motivate fellow Moths to become more efficient and effective in the tasks they perform within the Order. The last such workshop was held in early 2011. Eddie was appointed as the District Liaison Officer and Website coordinator in 2010, which he tackled with his usual enthusiasm, tact and motivation to ensure success at the end of the day. 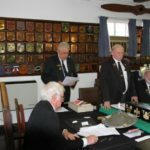 Moth Penzhorn was awarded the Certificate of Merit on 16th August, 2017. 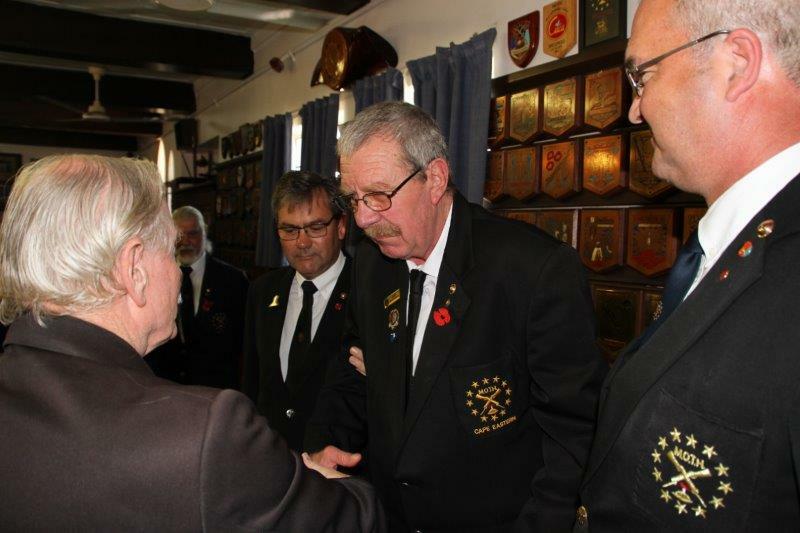 Eddie started his military career at 1SSB in 1965 where he served as a tank driver where after he was posted to A Squadron 2 Armed Car Regiment (Bloemfontein) and then to D Squadron 2 Armd Car Regiment ( Walvis Bay) where he ended his National Service as a Tank Troop Cpl. 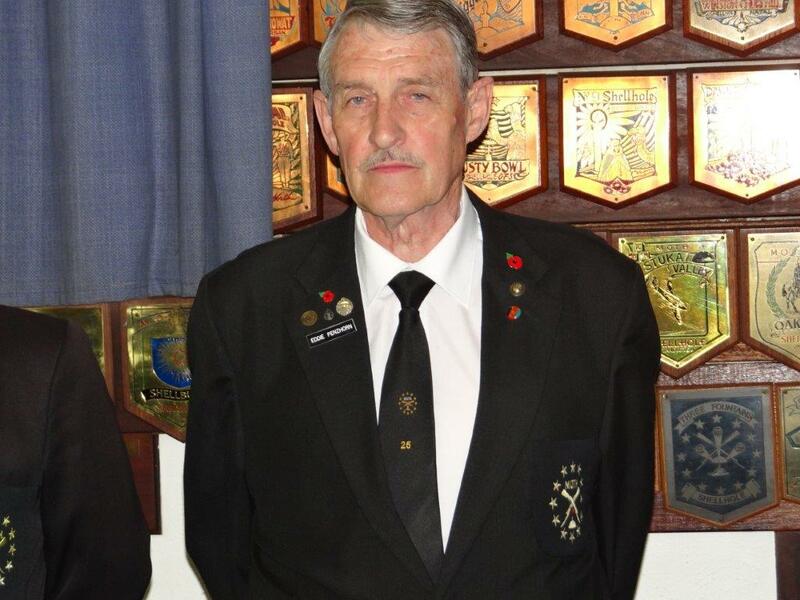 He was then posted to Pretoria Regiment and was commissioned in 1967. 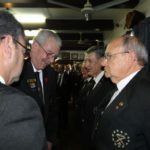 He served in the PR as a Troop Leader, Adjutant, Squadron Commander, Regimental 2 I/C, and Regimental Commander from 1980 –1985, with several visits to the Operational Area. This was followed by a period of service at 81 Armed Brigade as the SO1 CF Training and was transferred to the National Reserve in 1992 after 27 years of service. 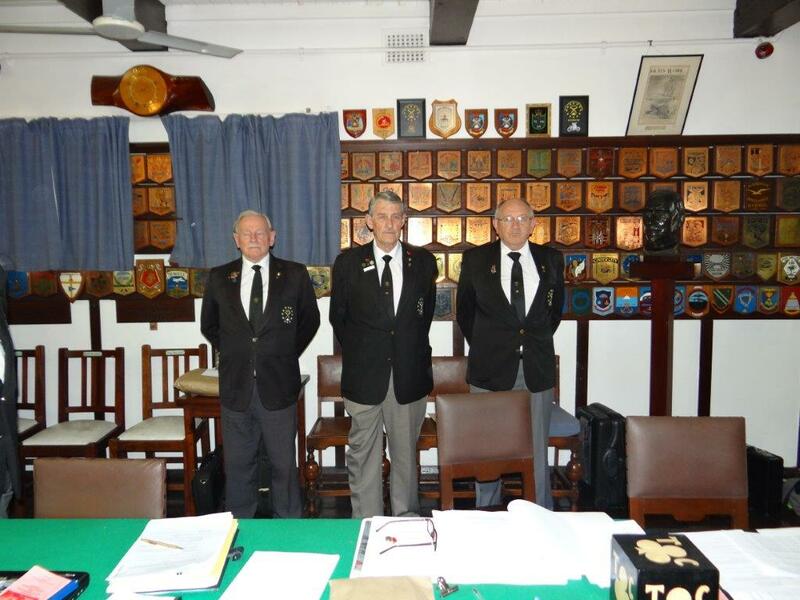 In the wider field Moth Penzhorn served the Pretoria Regiment Association from 1968 to 2011 in various positions as the Chairman, Vice Chairman and Secretary. 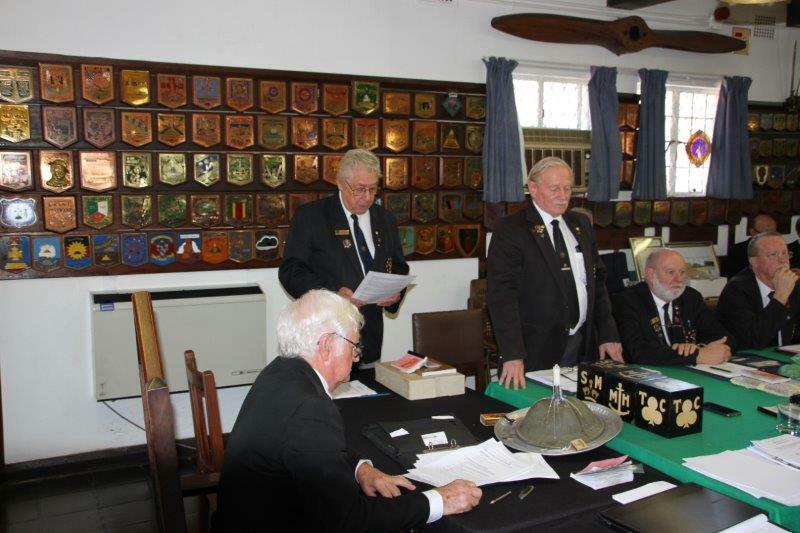 He has also served on the Pretoria Regiment Council from 1980 to date as the Honorary Secretary. 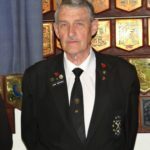 Eddie served on the Pretoria Memorial Services Council as the representative of the Pretoria Regiment Association from 1986 and was elected Chairman of the Council in 1993. He held this position until he retired from the PMSC in 1996. 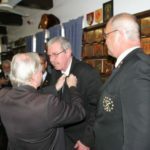 Eddie has always carried out his duties beyond the requirements thereof and wherever he has served, whether it was as a school master, a soldier, or a Moth he has always completed his tasks with his usual thoroughness and attention to detail coupled with a very diplomatic demeanour which endears him to his subordinates and colleagues alike. This reflects the conscientious attitude of a person who is a perfectionist when it comes to his duties and who upholds the Constitution and General Standing Orders. When Eddie took over as the Deputy Old Bill of the Shellhole he gave the Old Bill his unstinting support in all matters. Before and upon taking up the post of Old Bill of the Shellhole, again his actions of diligence to the task has been apparent. Click on Pics to enlarge…. Moth James Stoffberg joined the M.O.T.H. 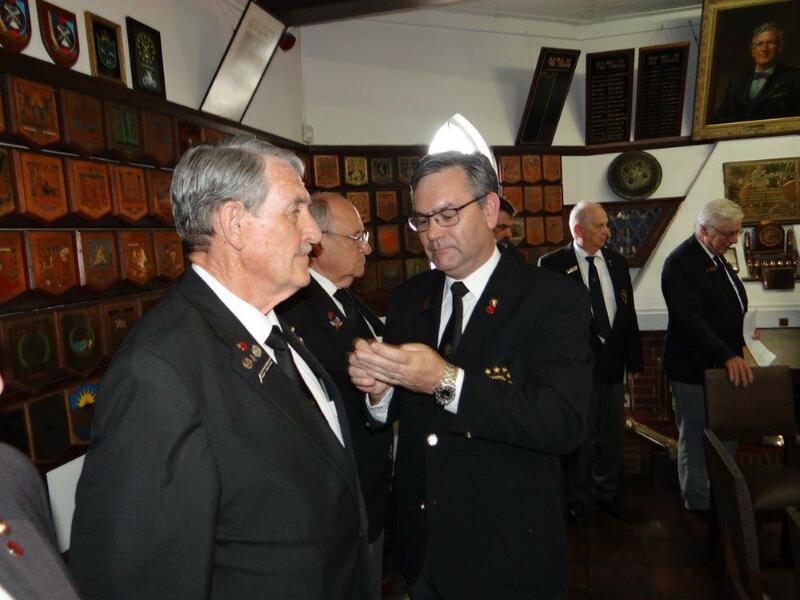 in April 1977 when he was inducted into Four Corner Shellhole in Port Elizabeth as one of the early ‘Border Boys’ to join the Order. 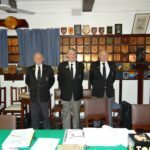 In 1982 he became the Shellhole Old Bill of Four Corner and remained in that position until 1986 when he had to leave that position to take up his new task of being the District Old Bill of the then Port Elizabeth District Dugout. He remained as District Old Bill until 1988. 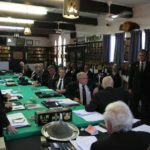 In 1989 he was elected as Deputy Old Bill of the then Winston Churchill Provincial Dugout (Cape Eastern) until 1991 at which time he became the Provincial Old Bill of Winston Churchill Provincial Dugout. He remained in that position until 1994. 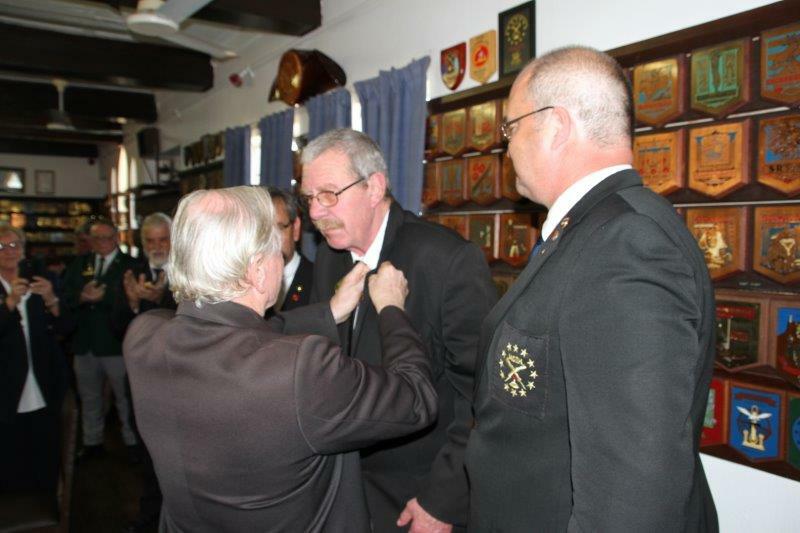 Moth James was awarded the Certificate of Comradeship in 1994 and the Certificate of Excellent Service in 1999. 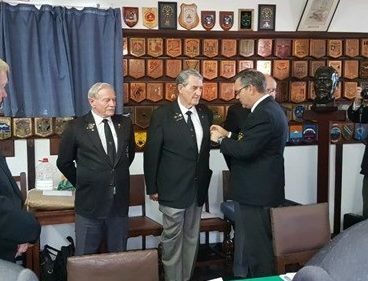 During his term as the Deputy Provincial Old Bill, he became a member of Prince Alfred Shellhole after the closure of Four Corner Shellhole, where he remained until 2007. 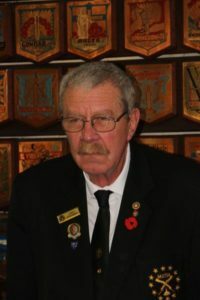 Moth James was elected onto the National Executive in 1999 and remained a dedicated member of that Executive until for health reasons, he stepped down in 2016. 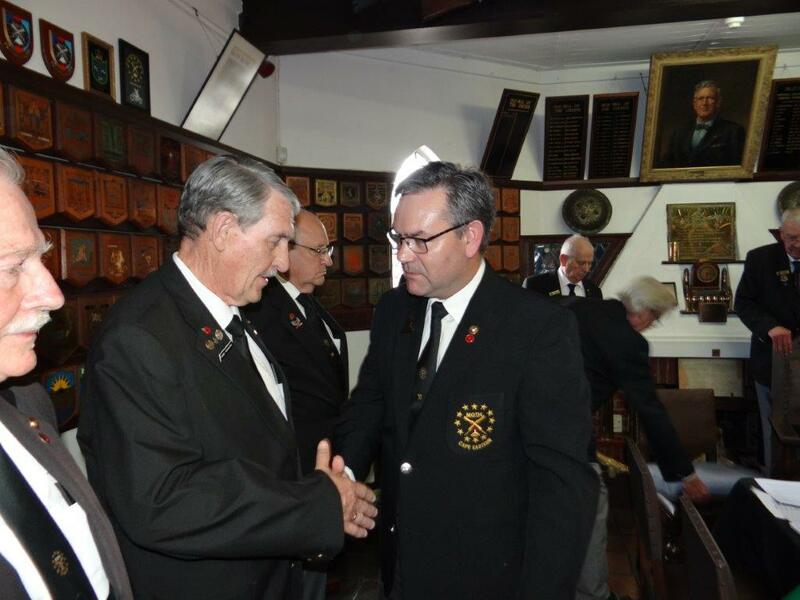 While Moth James was serving on the National Executive, he was awarded the Certificate of Merit in 2007. During his term on the National Executive, he witnessed the selling of the P. E. MOTH Club in Bird Street which led to his Shellhole Old Bill deciding to close Prince Alfred Shellhole. 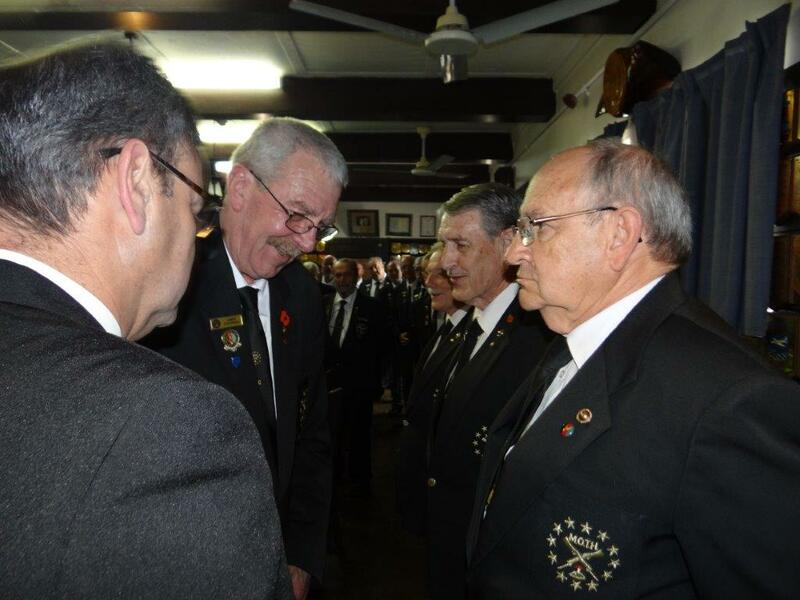 It was then in 2007 that he joined Comrades Shellhole, now known as Comrades Algoa Shellhole. 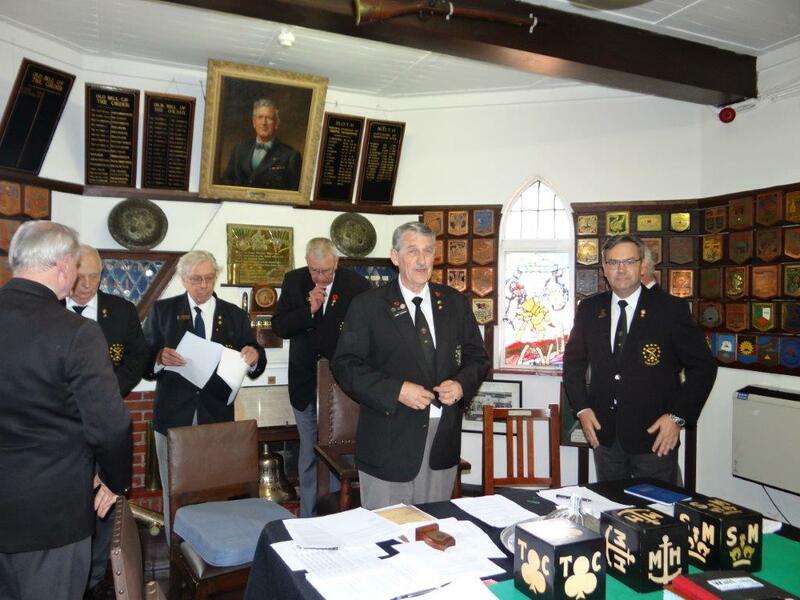 Moth James was always involved with something to do with the MOTH and has always been willing to serve on other committees such as the MESCA Port Elizabeth Unit and as Pay Bill of Comrades Algoa Shellhole. 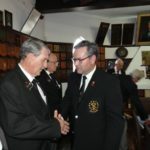 On numerous occasions the Provincial Dugout have called on James for assistance and guidance with his vast wealth of experience in matters relating to the MOTH. He has never failed to come forward with that assistance. Until his health really got too much for him he used to travel with the Provincial Dugout to all the Districts and the outlying Shellholes that were visited by the Dugout. His dedication to the MOTH has made him a well-known figure within the Province, with many a question being asked after his well-being. When the Eastern Cape Province was formed with the amalgamation of Border & Transkei and the Cape Eastern, James was always there with his hands-on approach assisting with the procedures that had to implemented right from the negotiation stages. The outcome of this exercise resulted in the formation of four Districts within the Province. 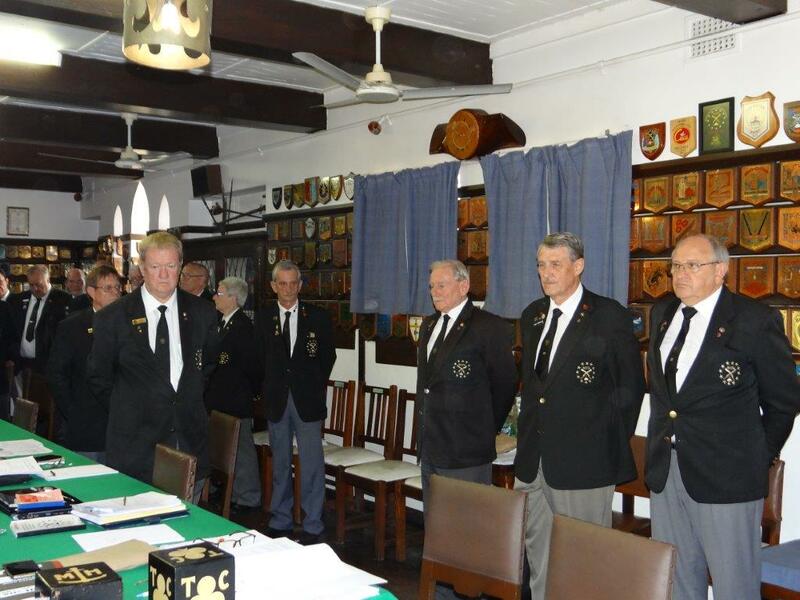 Southern Kwazulu Natal Provincial Dugout had James as their mentor and this task he took to heart, and as with everything else James does, he did it with great diligence and gave his 100% always. 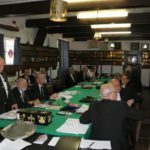 Moth James has also had his share of dealing with the overseeing, and or, advising on various disciplinary committees all over the Country during his tenure in Senior Office. 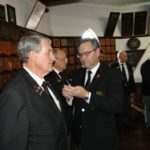 He has always carried out those tasks with the utmost diligence and upholding the integrity of the MOTH was, and is always, foremost in every aspect of James’s duties. 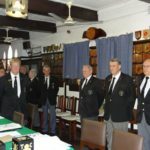 It is for these reasons the Eastern Cape Provincial Dugout Proudly nominate Moth James Benjamin Carl Stoffberg as the Old Bill of our Order for 2017 / 2018.